Before welcoming the new year, Kisses Delavin attended "the most important wedding" of her life. 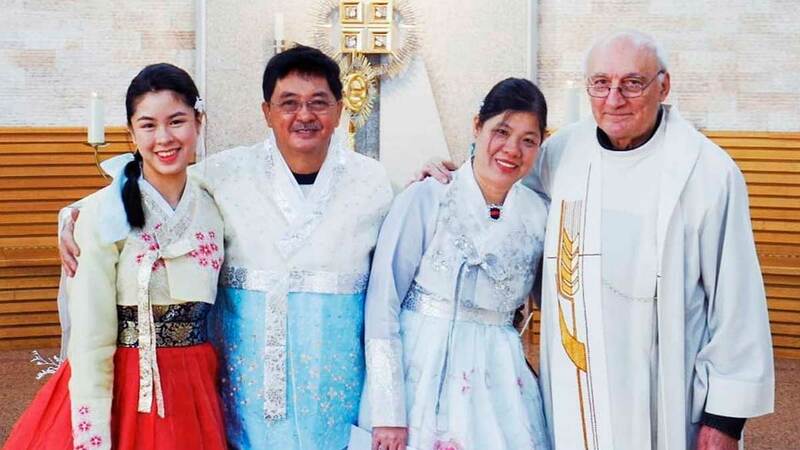 Her parents, Gilbert and Carrie Delavin, renewed their vows on their 25th wedding anniversary on December 29, in Seoul, South Korea. The Fantastica star captioned her Instagram post, "It's official! I just attended the most important wedding of my life! My parents got married today for their 25th wedding anniversary while wearing Hanbok. "The priest said that he hopes to be there on my parents' 50th anniversary, he would be 102 years old by that time! #GILBERTandCARRIE25Years." After the ceremony, Kisses had her own meaningful moment that made her more excited for 2019. She wrote in her post, "After my parents' wedding ceremony, while my parents were being congratulated by everyone, a lady from the church approached me. She asked where we came from and we exchanged stories. "As we were about to leave, she took both my hands, looked me in the eyes and said 'Nothing is impossible!' and emphasized it a couple of times. I didn't know what she meant particularly; I nodded and said thank you again and we left. "But there was something in her eyes that made me feel it was an important message for me this 2019. "Whatever lies ahead, I am nervous yet excited at the same time, and I am ready for it!" Kisses was the main witness in her parents' intimate Christian wedding ceremony. The family wore the traditional Korean attire known as hanbok, which made the wedding renewal extra special. The young ABS-CBN actress captioned in one post, "May tumapos na ng laban! Uwian na talaga! May forever! WUHU!!!! #GILBERTandCARRIE25Years"